Lauren grew up traveling the world. She knew fashion as a vehicle to connect people. Carrying the pieces she purchased, back to her home, she became a part of the story. Lauren admired the beauty of craftsmanship evident in the culture. The hand carved totems for deities, traditional jewelry, women’s brass neck coils, the vibrant woven textiles. Each imperfect texture, each mark of a hammer and melting of the brass, showed the artist’s hands. She could see the story. Her cultural curiosity led her to La Tuang, the keeper of sacred Kayan traditions in a refugee village on the Thai Burma border. 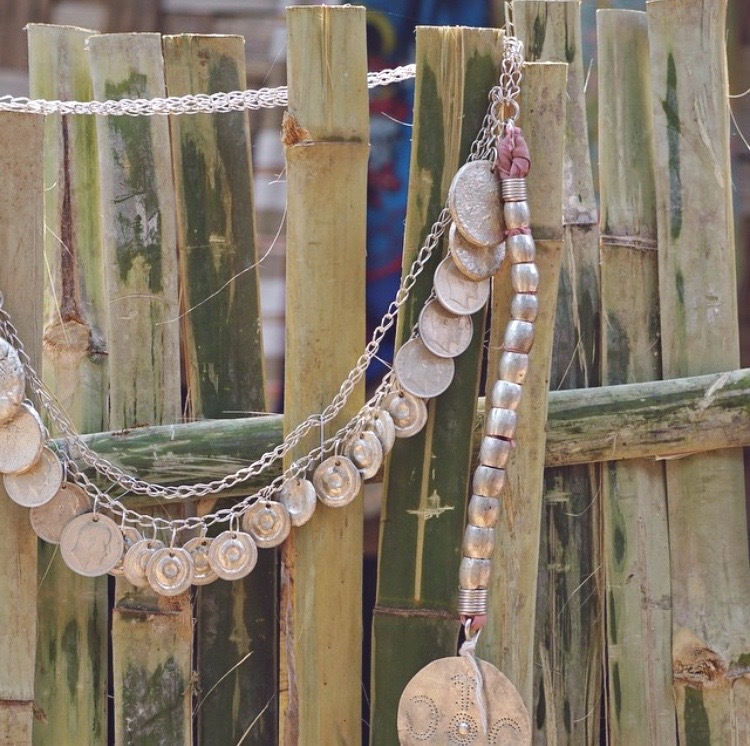 Living as refugees, the market for traditional Kayan jewelry had disappeared. La Tuang was weary that at age 53 and the only keeper of these traditions, they would soon also fade. The two designed a collection fusing traditional skills and modern design. La Tuang trained 2 apprentices in traditional Kayan jewelry making in order to complete the collection. The ‘Core Collection’ embodies bohemian travel. 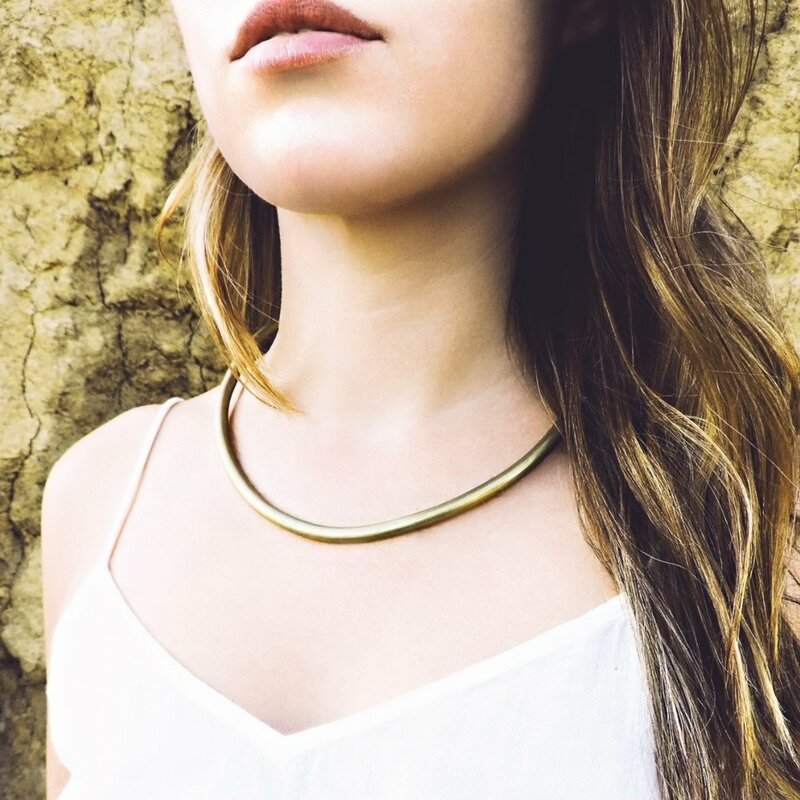 Hot summer days, clear blue skies and cool brass jewelry against your skin. Channel your inner nomad, the world traveler inside and explore the story. The Kan Bo Choker is inspired by the ‘Kan Tan Bo’ poles which are created once yearly for the largest celebration in the Kayan culture. These poles represent the Sun at the peak, the Moon in the middle, a sanctuary where the deities reside. Followed by streamers connecting Heaven and Earth. These elements are embodied within the hand designed and crafted points at the end of the choker. 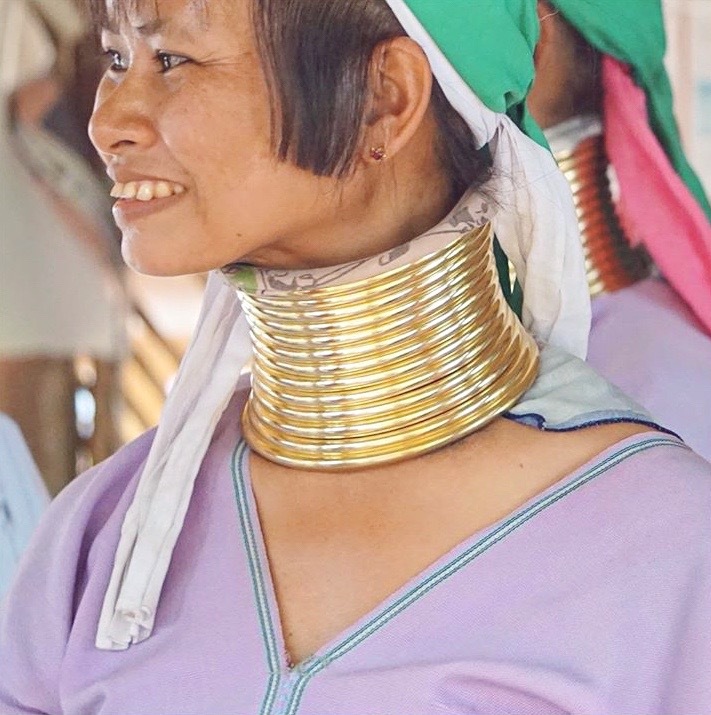 It can be reversed to show off the Kan Bo design or worn with the loop forward, styled as the coils that many Kayan women wear on their necks. These solid brass hammered cuffs come in a set of three with descending sizes down the wrist. The brass cuffs are reminiscent of the traditionally worn stack of five in the Kayan culture. The unique bracelets are made by hammering brass into a carved buffalo horn mold, which gives them their unique size and shape and textured quality. Worn as a stack or individually, the polished set is a perfect everyday signature. ‘Rom Bo’ means bracelet in Kayan and this piece is handcrafted brass beads woven through upcycled fabric. The handcrafted beads are representative of the life growth of a tree and embodies bohemian charm. The Rom Bo Bracelet is inspired by a traditional piece of jewelry, where these beads make up a large necklace. The Rom Bo Bead Ring takes the beads from the intricate Rom Bo Bracelet and turns them into a chunky stacking ring. The perfect piece to mix with the Coil Ring. The layered look is sure to inspire others. The Coil Ring is designed combining the beautiful brass neck coils Kayan women wear with the modern style of stacked rings. The three sizes available mean you have a ring for every finger. Mix and match with the Bead Ring and Layered Cuffs. The Hammered Brass belt is the perfect piece to be worn high on the waist or low on your flattering figure, cinching in loose silhouettes. This style is made from flexible brass with a matte gold finish. Designed by La Kyat, the brass is hammered out by hand and the braided black belt is handmade and designed by women artisans. The perfect piece to compliment any outfit and accent your gold and brass jewelry. The braid is designed to be worn in the back and can worn separately or replaced with your favorite scarf.